A long-awaited small store that offers a homey atmosphere. Mie University is a medium-sized regional university with 5 undergraduate faculties in Tsu City, Mie Prefecture. The campus is located at Kamihama District, Tsu City, including the Faculty of Humanities, Law and Economics. Both its small scale and geographical situation are an advantage to exchanges among students and professors. 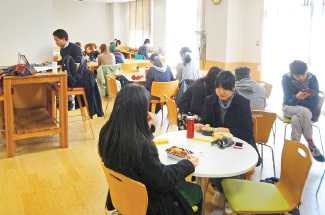 Until now, Mie University Co-op has been operating two general stores and three dining halls. 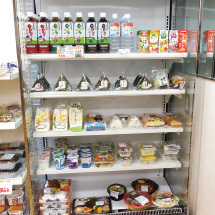 However, recently it has opened the third general store, called Jinbun Shop. 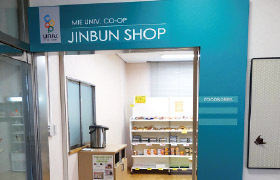 On Tuesday, October 7, 2014, Jinbun Shop started to operate in the student lounge inside Faculty of Humanities, Law and Economics building. This store came out as a solution after a series of discussion between Faculty of Humanities, Law and Economics and Mie University Co-op. 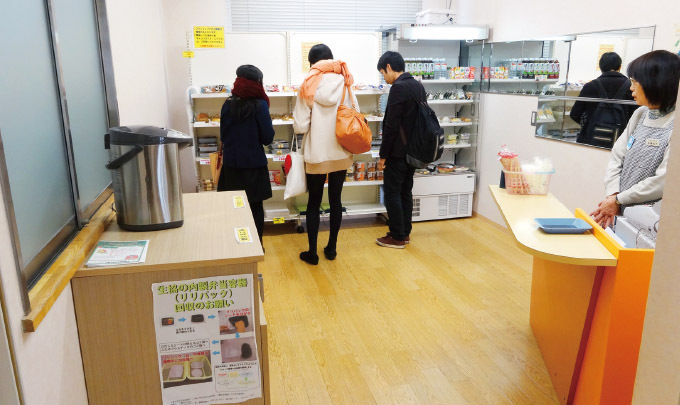 The store was established to improve the convenience of students and provide opportunity for students to have meal, taking into account the congestion problems in Co-op Suiryo Store and First Dining Hall that always happen during lunch break. 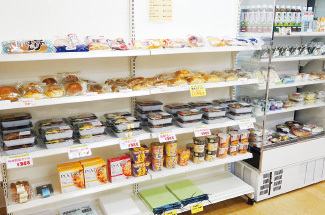 Prior to this new store, started in spring 2013, Mie University Co-op set up a Lunch Box Corner to sell lunch boxes. However, students asked for more food and drinks to sell. This led to the decision to open a permanent facility. Prof. Motoi Goto, who heads the Faculty of Humanities, Law and Economics, sent a message to students, “By having proper meal, I hope students can concentrate in lectures and study.” In the future, we will continue to incorporate members’ needs by conducting survey to enrich our assortment of products and services. In addition, we also plan to decide a nickname for the store through votes from members. Space to relax in front of the store. We give attention to assortment of food and drinks. Students can have proper meal and concentrate in lectures and study.